If you go down to the beach today… you’re in for a BIG surprise! It’s Turtle Hatching Season, a time when the beaches of northern KwaZulu-Natal come alive with Leatherback and Loggerhead turtle hatchlings, all desperately scrabbling down to the sea. If you are very lucky… you may even get to see them. Once the tiny turtles reach the sea they are usually carried out into the deep ocean with the currents, however it’s more than a game of chance… and definitely survival of the fittest, as very few survive. They have many obstacles to overcome… and plenty of predators to evade from crabs and birds to ants, beetles and even flies… and many more. However, there is a much, much larger obstacle that these tiny turtle hatchlings face. US… Yes, You and Me! A UCT study of small plastic fragments on South Africa’s beaches, repeated in 1994, 2005 and 2015, showed that man-made items collected from sieved material included wood, wax, glass, metal, cigarette butts, rubber, metal and paper… however plastic items were by far the most abundant comprising of 99% of litter items. Several beaches consistently had thousands of plastic items per metre of beach. 1000s of Plastic items in ONE, yes 1 metre of beach. We can wait for the government to do something. Or blame our consumerism of decades… or we can just do something. Not tomorrow or next week… or next month. 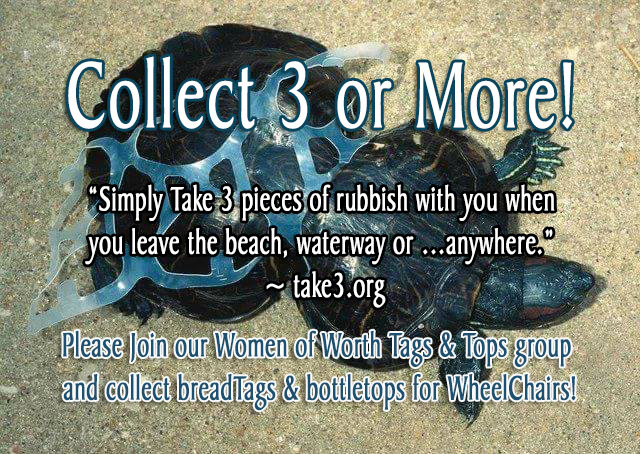 Please go to the beaches and collect at least 3 pieces of plastic to takeaway with you… more if you can. Otherwise, tomorrow or next week… or next month, there won’t be a Turtle Time for our Children to enjoy! In just five years, 31.2 tons of bottleTops & 5.9 tons of breadTags totalling 37.1 tons of plastic have been recycled. We need to increase that exponentially. To save our Oceans and Beaches. To give the Gift of Mobility to more who need Wheelchairs. The Sweethearts Foundation have given 262 Wheelchairs to those in need, blessing their lives with mobility. Is South Africa up to the challenge of doubling that this year in 2018… and 2019? 2.9 Million South Africans have special needs, thousands of those are bedridden, and a wheelchair would give them the gift of mobility. Please collect breadTags & bottleTops for Wheelchairs, and become a Sweetheart for The Sweethearts Foundation. The South African Association for Marine Biological Research (SAAMBR) in Durban, suggest the following if you find a turtle on the beach. Phone uShaka Sea World – 031 328 8222 office hours or 031 328 8060 after hours. Wet a small towel or clean cloth and place in a small open container. Place the hatchling on the wet towel. Do not place the turtle in a container with water. It may be weak and struggle to raise its head to breathe. 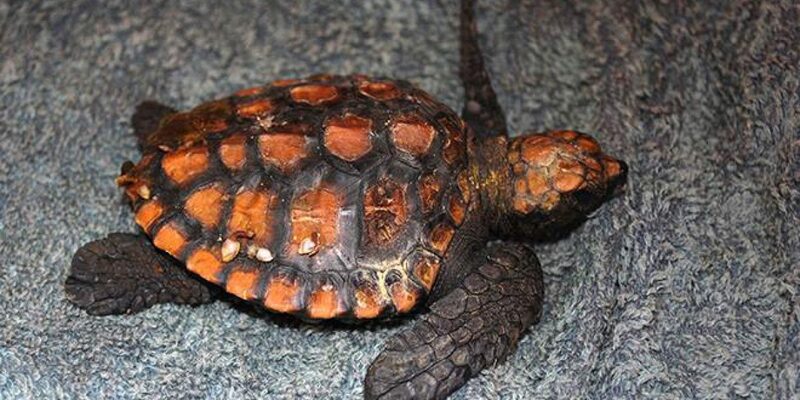 Do not place the turtle back in the ocean/ tidal pool. Keep it at room temperature – no air-conditioning. Keep in a quiet space and do not handle. Do not try to feed the turtle. Turtles are a protected species and a special permit or permission is required to have one in your possession. Please Like and Share the SAAMBR Facebook page. Most plastic fragments on SA beaches from local sources – study.